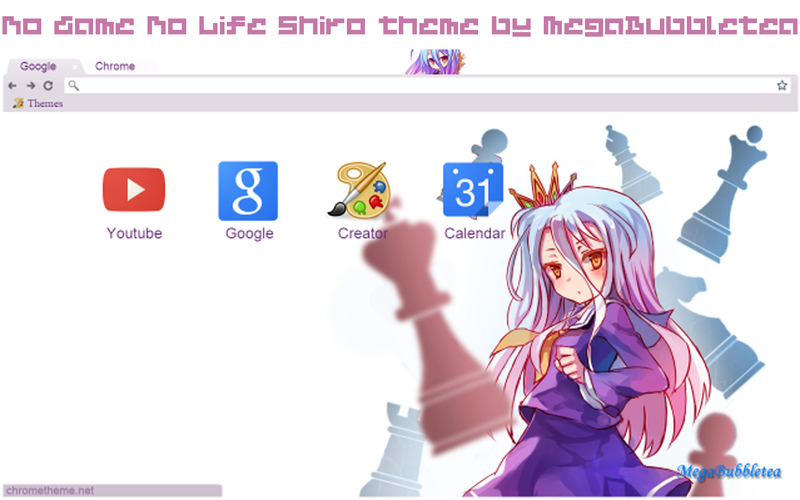 February is here and so is a new theme featuring Shiro from No Game No Life! I've been pondering about how some themes are more popular than others and really, it comes down to whether to anime is currently popular with the public (and also how well created the theme is). At the time of this post, there were only 2 NGNL themes in the Chrome Web Store: one was a bit disappointed and the other one costed money. Well anyway, here is my submission. Enjoy!